Inventory labeling is a big part of keeping your warehouse organized. If your inventory is organized and properly labeled, staff will have an easy time finding the right section and the right products to distribute. Good inventory labeling goes beyond your warehouse. Within the warehouse items should be named and marked with details that fully describe the item. When materials and products are being sent, the shipper should also follow good inventory practices. In a best-case scenario, they should ship items using the same labeling needed in the receiving warehouse. This can be done by coordinating part numbers or using UPC codes. Both overstocking and understocking are inefficient to your operations. The first lowers warehousing efficiency, while the second lowers the customer experience. The ability to accurately track your inventory is necessary to determine the minimum, maximum, re-order, danger, and average level of materials to be stocked for each category of goods. Although most companies have systems in place to handle inventory, this does not eliminate the need for cycle counting. What is cycle counting? It is a way of counting inventory where subsets are counted over a long time. It is different from traditional physical inventory counting, where operations cease while items are counted at a facility individually. Cycle counts are far less disruptive to daily operations. This process also verifies inventory accuracy, helping to identify the root causes of errors. To make sure you never run out of stock, even with minimal stock levels, you can implement efficient demand forecasting. Warehouse managing systems (WMS) can provide you with useful data that shows how products are moving through your logistics. Accurate demand forecasting is achieved by mining actual sales and observing demand pattern history. The purpose of this function is to reduce warehouse storage costs and maximize the use of space. On the other hand, you can also have too much stock, which is not a smart technique even for products that are in high demand. Experts suggest keeping enough stock in your inventory to meet one and a half times the average demand for that product, at all times. Your warehouse racking layout should be routinely adjusted to reflect changes in product, demand, and warehousing objectives. You can make this process simple by leveraging analytics data to segment products according to the demand. You can also get rid of unwanted inventory. Aside from gaining more warehouse storage space, reorganizing your layout speeds up the retrieval and order fulfillment processes. Simple technology like barcodes and RFIDs can bring down manual error rates. Manual operations are prone to human error, which can add to warehousing costs. These mistakes can also result in business loss and a negative brand experience for customers. By carefully placing SKUs, you can drastically lower picking errors. It is also a good idea not to place similar products in nearby locations, to prevent pickers from taking the wrong product. Barcodes can be used to label products to make picking and packaging more organized and to improve inventory accuracy. This metric determines how fast inventory runs out or is “turned over” in a specific period of time. The higher the turnover ratio, the shorter shelf life of inventory. This means higher sales volume and profitability for your brand. This ratio should be closely observed for every item in the warehouse to ensure product replenishment calculations are accurate since demand will change over the product’s life cycle and cause logistics variability. Until the dispatched product reaches its intended destination, a warehouse operation is incomplete. Keeping track of delays or damaged deliveries is possible be setting up shipping notifications. These alerts relay real-time information on product location using geo-location technology, which is very useful in fast-paced supply environments. Real time tracking can help warehouse managers make appropriate decisions when there is a disruption in the flow of a delivery. It also reduces instances of miscommunication about shipments. Inventory accuracy helps you add agility to your supply chain strategy with data you can trust. Having accurate data allows you to make the right decisions and provides true communication between you and your partners. Instead of allowing your lack of inventory accuracy to ruin your operations and your customer relationships, start keeping track of it today. You will enjoy better fulfillment and easier transitions as new technology develops in the future. Keeping track of inventory in real-time can be challenging, but there are companies that can provide the inventory accuracy solutions you need. Taking the time to change and improve your warehouse and inventory management processes will make your supply chain run smoother and will lead to greater efficiency and profitability for your business. If you want to learn more about the benefits of our inventory management system, or want help improving your warehouse operations, the team at APS Fulfillment, Inc. can help you. Our professionals provide our clients solutions to meet their warehouse organization needs. We provide services such as real-time inventory management, e-commerce fulfillment, direct mail marketing, fulfillment solutions, and fulfillment markets. 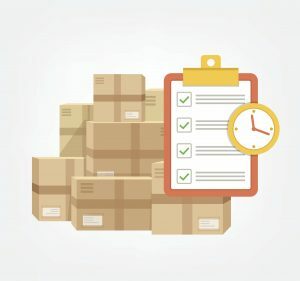 There are endless benefits to working with a third-party logistics company that uses the best quality software systems to manage your warehouse, so if you’re looking for the right company, look no further than APS Fulfillment, Inc. You can contact us by e-mail at [email protected] or by phone at (954) 582-7450.